The leasing and fleet management specialist highlights research that has found 50% of French fleets plan to integrate alternatively fuelled vehicles into their operations in the next three years, of which 26% are looking to deploy full electric vehicles. The new service is aimed at all operators with the transition to greener vehicles, supported by its recently announced SMaRT consulting approach. This will set out the company’s plans and commitments, and enable Arval to advise on the most suitable vehicles for the profiles and uses of drivers in everyday life. Arval can provide fleets with access to more than 70,000 charging stations across 25 European countries through a partnership with NewMotion, backed up by an app and the option to installs chargers at workplaces and drivers’ home. Payment can be simplified by use of a pre-payable card which gives access to the NewMotion network, or by reimbursing employees for energy used at home. To ensure flexibility and convenience, the Arval offer includes the option of a number of days of rental of a conventional petrol or diesel car. The ‘Try it love it’ option also allows the driver and their company to test an electric vehicle for three to six months as part of the contract, and to return it without penalty if it doesn’t meet needs. 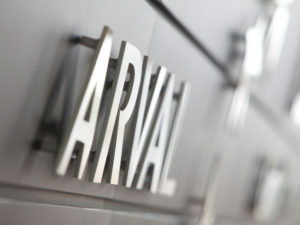 Drivers can also share the vehicles under the Arval AutoPartage car sharing scheme.